New Zealand has many ‘freshwater’ indigenous fishes (many of NZ’s local species found in the rivers and lakes move freely between fresh and saltwater) and especially Galaxias species. We (South African’s) also have a diversity of Galaxias species (‘Cape galaxias’ or Galaxias zebratus is the type strain and most well known one) and since I developed an interest in these fish while catching them with my hands in the coastal streams around Kleinmond during my childhood I had a natural interest in the NZ specimens. 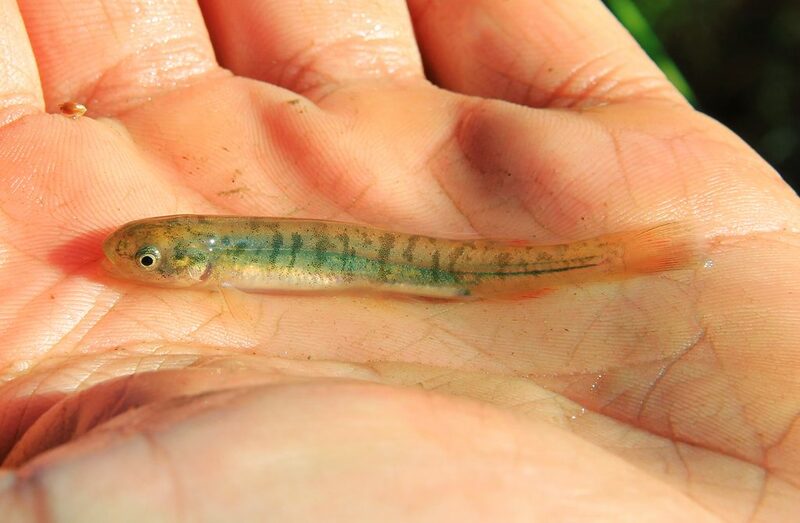 I was especially intrigued by the giant kokopu (Galaxias argenteus) and even visited a stream in Golden Bay to try catch one on fly; I never saw one, but I did find something else that was mind boggling. 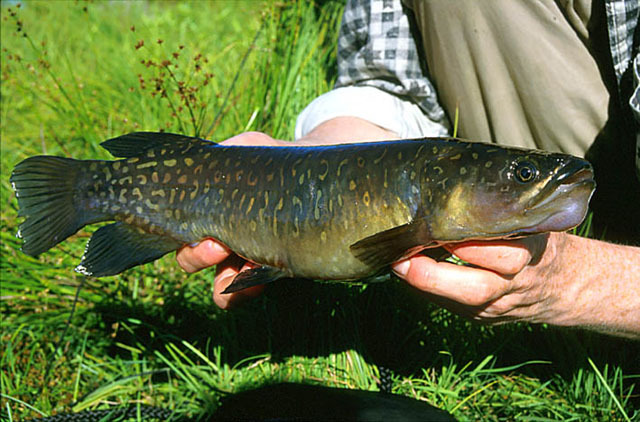 Instead of the giant kokopu I found an ‘alpine’ Galaxias sp. 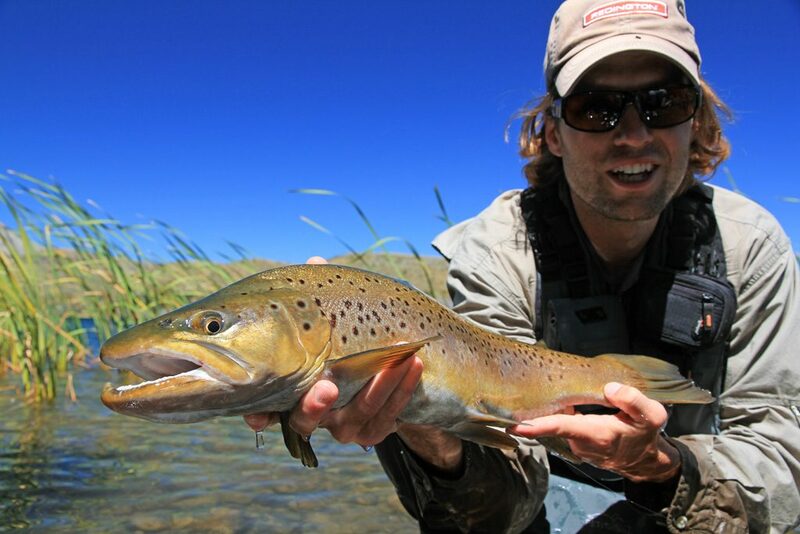 with red fins while scouting the banks of a mountainous lake for big brown trout. This colourful ‘unknown’ Galaxias sp. was awkwardly placed in a spring trickling from high mountain slopes (situated well above the natural lake) and of which the water disappeared completely under gravel for about a kilometer before entering the lake system. 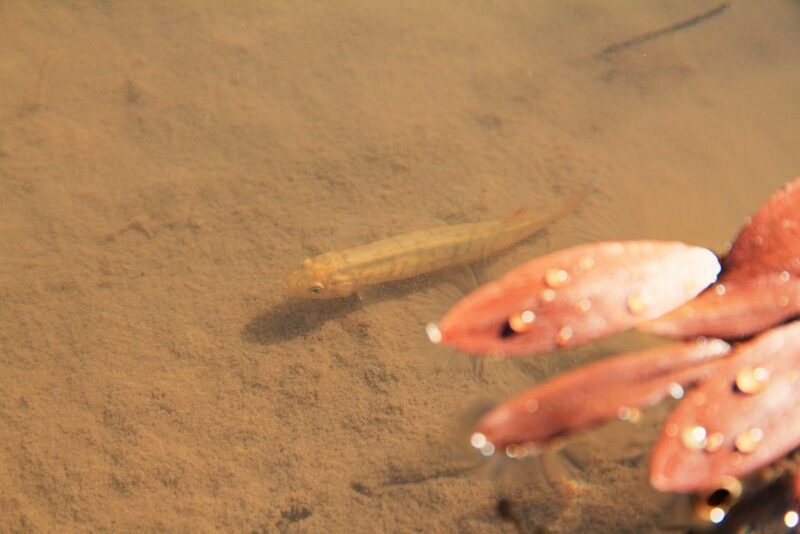 The ‘red-finned’ alpine Galaxias in it’s natural spring pool. Spring water pools on a shoulder between high peaks was the home of the little fish – could this be a unique strain/species? I agree – very likely that the lake has koaro, so probably Galaxias brevipinnis. Small individuals of Canterbury galaxias (G. vulgaris) and koaro can be pretty difficult to tell apart in the field, and almost impossible in photographs. 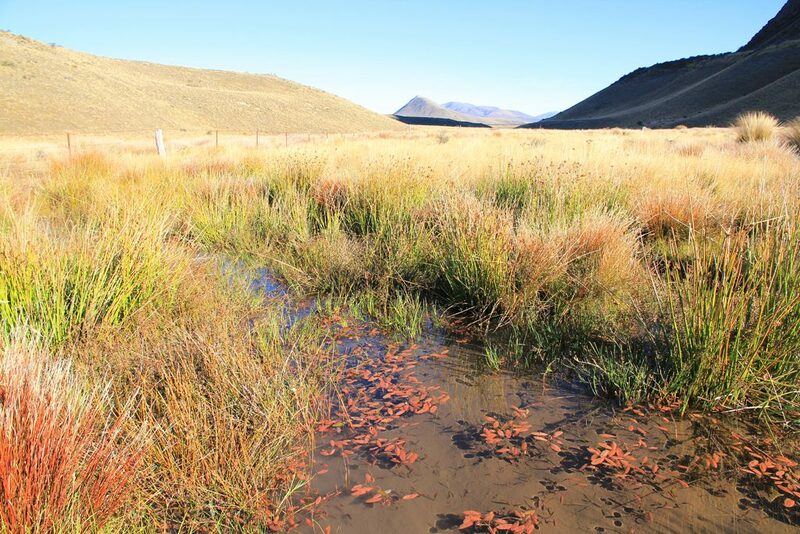 However, if in a lake system, koaro almost always exclude non-migratory galaxiids from those catchments (even if the koaro population is land locked). 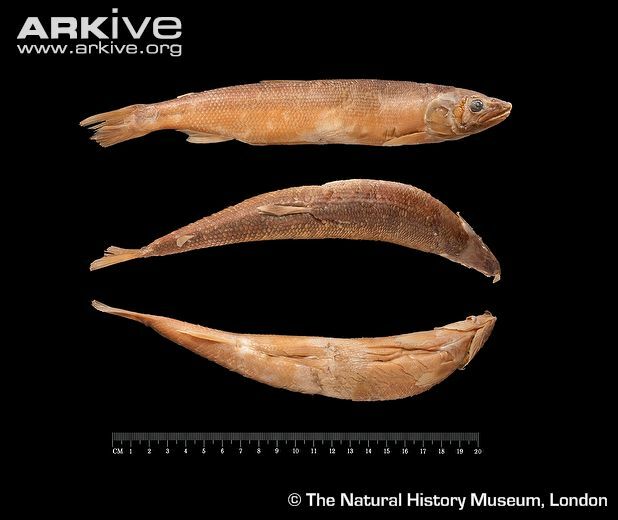 It was obviously difficult to accept that the fin-perfect fish had red fins due to possible ‘fin nipping’ and I still urged the scientists to go and have a look at the location, regardless of their opinion about galaxiid colour schemes. 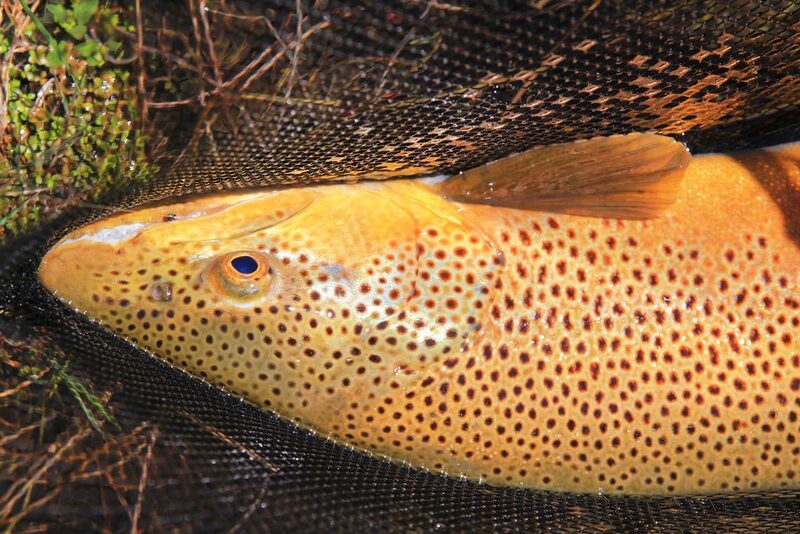 Nevertheless, it was still a memorable experience to encounter a wild native fish in such an isolated spot while targeting large, bank-cruising brown trout in a seldom fished lake system. A spotted brown would rise steadily to slurp one of my small beetle patterns or much to my surprise bigger, fat cicada flies as Matt Zilliox showed me. It was exhilarating to see a brown that was seemingly fast asleep in a small backwater awaken to the splat of a fake cicada and gulp it down. Furthermore, it wasn’t only browns that we caught, but also small land-locked king salmon that rose to #14 dry flies like the feisty Rhodes and Barkley East rainbows back home. I had several splendid fish-filled outings to this lake and the Galaxias was an added bonus. 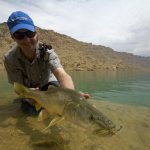 Philip Hills was lucky to get this giant kokopu-sized, land-locked salmon that ate a randomly placed para Adams in the vicinity of their rises. Matt Zilliox finishing off an extraordinary fight, picking his line out of the reeds after hooking a brown in the backwater behind him on a cicada dry. 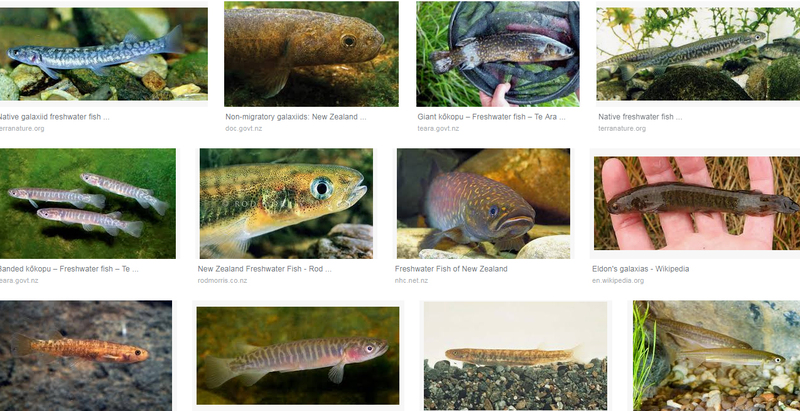 When I did more reading about these galaxiids I realised how many species there were in NZ and that these fish were in fact distantly related to the alien salmonids we enjoyed catching in the stillwater. 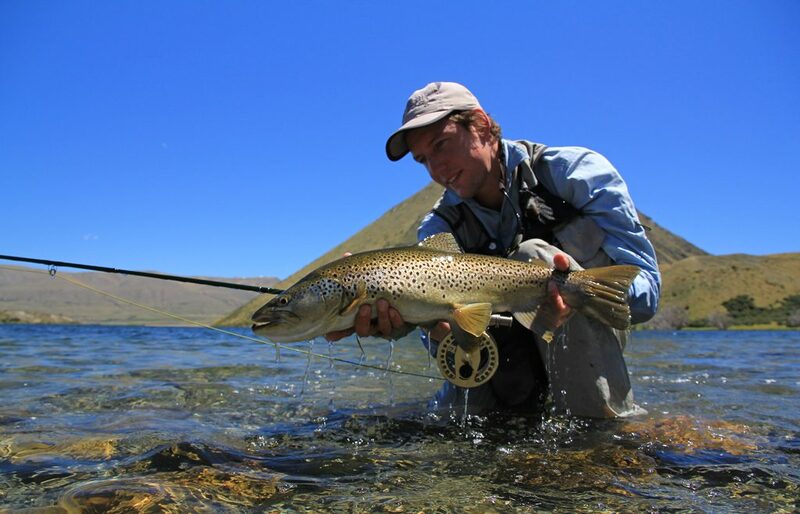 They are southern hemisphere semi-salmonids represented by whitebaits, icefishes, southern graylings and smelts. There was even a once thriving grayling species (Prototroctes oxyrhynchus) called the New Zealand grayling (or locally known mostly as Upokororo) that had gone extinct. 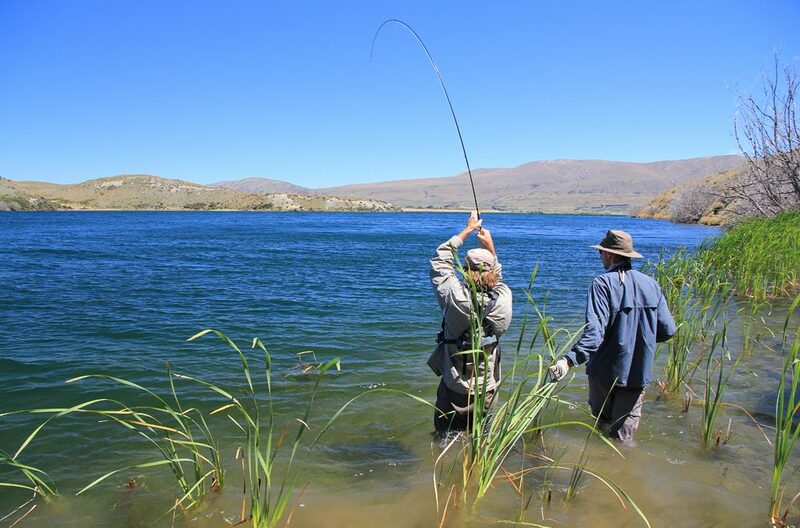 Modern research methods have allowed scientists to distinguish between and identify most of the indigenous fish species on North and South Island and who knows, they may still even discover several more, like here in South Africa? The current number of possible non-migratory galaxiids (including land-locked species like the one I found) total 25 in NZ. 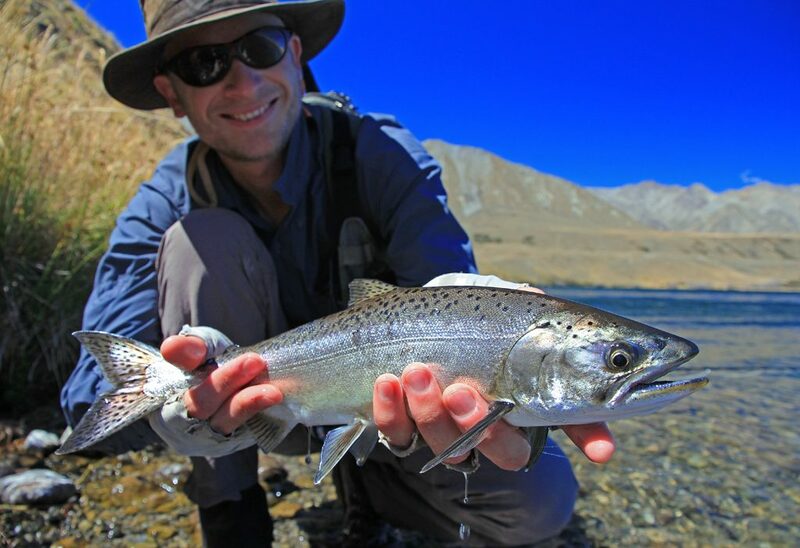 It made me realise that the islands have many hidden fishes that most trout anglers don’t encounter or know about and NZ truly represents a galaxy of salmonids and salmonid-like (Galaxias) species. 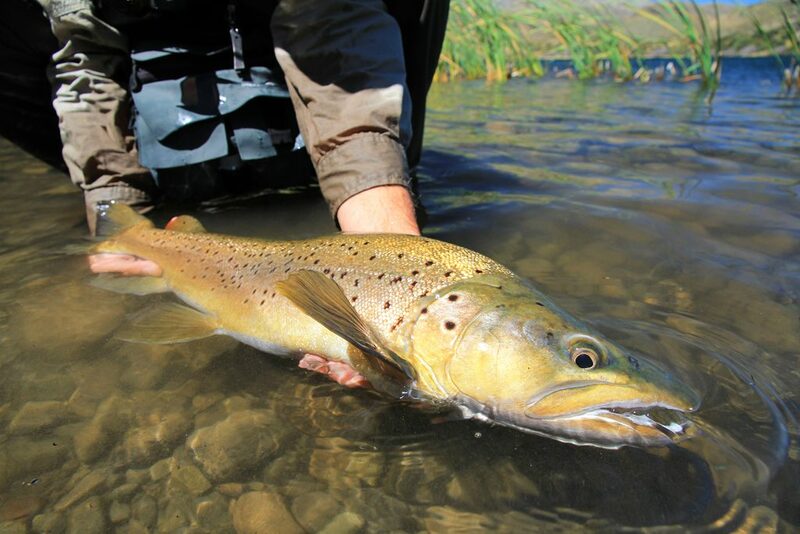 New Zealand browns "Stripped Down"